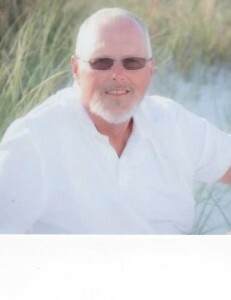 Obituary for Terry Blane Bertram | Herald & Stewart Home-Funerals, Inc.
Terry Blane Bertram, 58, of Applewood Lane, Mt. Sterling, KY passed away Monday, November 19, 2018 at his residence. He was the husband of Jeanette Covey Bertram, a member of Cathedral of Glory Church and a retired Department of Defense contractor. In addition to his wife, he is survived by a daughter, Tera Dawn Bertram of Elizabethtown, KY, a son, Jonathan Turner of Lexington, KY, his mother, Ruth Bertram of Somerset, KY, one sister, Margaret (John) Simkins of Somerset, KY, two brothers, Larry (Peggy) Bertram and Gary (Debbie) Bertram, both of Monticello, KY, and his father-in-law, Hearl Covey of Jeffersonville, KY. Several nieces, nephews, great-nieces and great-nephews as well as many special friends also survive. He was preceded in death by his father, Frank Bertram, his mother-in-law, Margaret Covey, as well as his maternal and paternal grandparents. Visitation will be 12:00 to 2:00 Wednesday with the service to follow at 2:00 at Herald & Stewart Home for Funerals, Pastor John Hobson presiding, with burial at Machpelah Cemetery.